We have already told you a lot about Bangkok in its columns, but also about islands and beaches. Today, we end our journey by the North of Thailand. It is a question of visiting in particular two regions quite close Chiang Mai and Chiang Rai. Why go to the North of the Kingdom ? 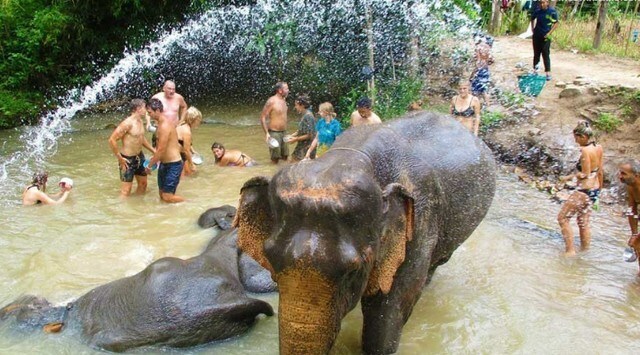 Those who are looking to get off the beaten track should visit northern Thailand. Chiang Mai and Chiang Rai are among the most flourishing and interesting cities in the North. Chiang Mai is well known for the abundance of temples that can be found in almost every corner of the city. 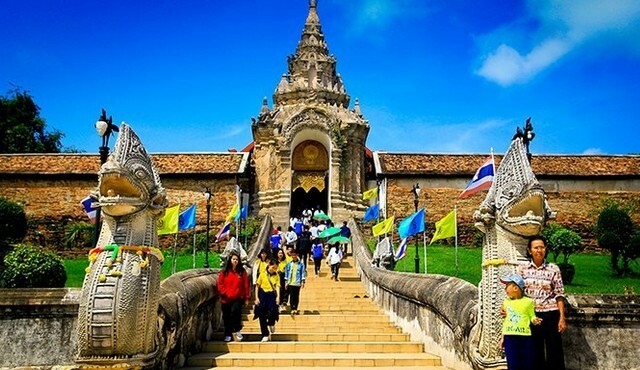 Travel operators often referred to as the « capital of northern Thailand » have understood that it is necessary to showcase the very pretty region that remains less touristic than the cities or islands of the South. To reach the North of Thailand, the plane remains the fastest way. What to see in Chiang Mai?? 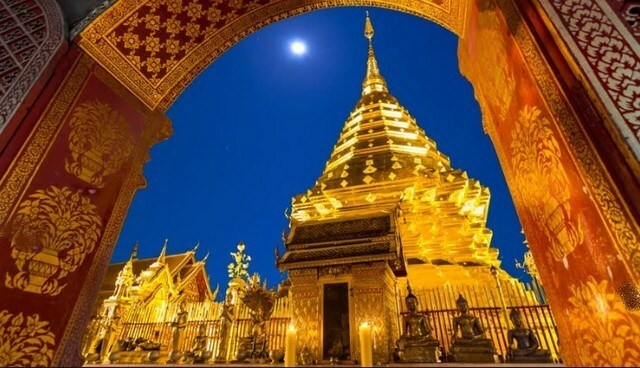 Why not the Wat Phra That Doi Suthep temple? This temple is located at the top of Doi Suthep Mountain among the lush jungle. This temple is not only an important temple for Lanna culture but is also revered throughout the country. Families come to visit the sacred site across the country. Climb the 308 steps that lead to the mythical staircase leading to the temple. 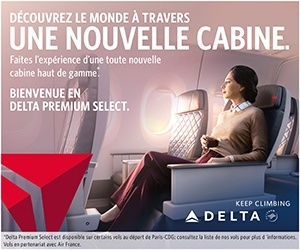 You will be rewarded with an enriching cultural experience and a breathtaking view of the city. It is advisable to go early. The Sunday market is by far the most memorable and beautiful market in Chiang Mai. Stretching from Thapae Gate to Wat Pra Singh and overflowing into the side streets, this market is full of mountain tribes’ crafts, handicrafts and delicious local dishes. This magical market is the ideal place to buy souvenirs or some local souvenirs. It is advisable to come early to escape the crowd. We go from about 4:30 to midnight. longer volunteer periods are also available. Bo Sang is located just outside the city centre and offers a fantastic overview of Thai crafts. The centre specialises in the manufacture of beautiful paper umbrellas. 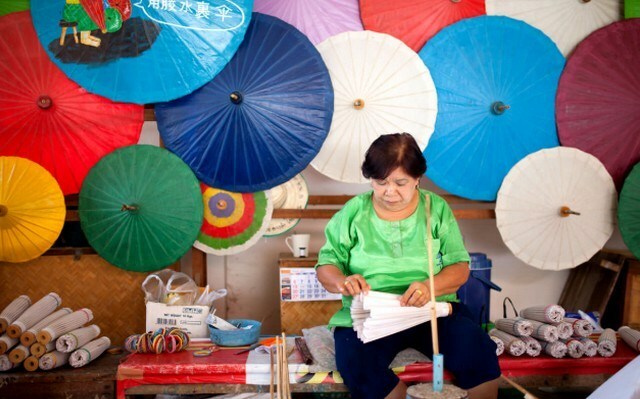 The umbrellas are not only beautifully designed, but also decorated with floral motifs that have earned Bo Sang a reputation throughout the country. Visitors can look at the workshop and purchase one of the charming umbrellas or other handmade products and souvenirs. Chiang Mai offers many meditation retreats. One of the best places is the Doi Suthep Vipassana meditation centre, located on the picturesque mountain of the same name in Chiang Mai. A beginner’s course lasts about three weeks. The retreat focuses on the four bases of mindfulness and includes walking and sitting meditation. Beginners start with 10 minutes and gradually increase their meditation time to one hour. After a hot day on the road, why not stop at Buatong Waterfall, which, despite its stunning scenery, remains one of the city’s least popular attractions. The waterfall consists of many levels and flows over porous limestone which, because of its composition, does not present the dangers of slippery stones. 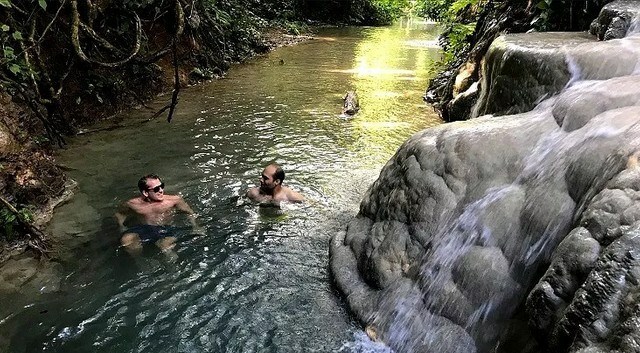 Instead, you can climb the slopes of the waterfalls without fear of falling and enjoy a dip in crystal clear, cool water.